I have a 1974 edition of Ernest Closson’s classic book History of the Piano. Originally published in 1944, it is a detailed history of keyboard instruments from the Clavichord to the modern piano complete with details of their mechanical construction. 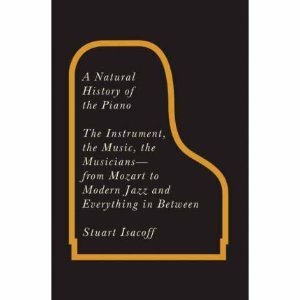 Stuart Isacoff is a pianist, critic and teacher and, in this book, explores the history and evolution of the piano and how its sound provides the basis for emotional expression and individual style. The opening chapter A Gathering of Traditions sets the scene for the breadth of this book pulling together such great names as Oscar Peterson, Art Tatum, Rachmaninov and Horowitz all in the first two pages. This isn’t merely an attempt to be inclusive but a real example of how genres are indeed closer together than many people are sometimes prepared to accept. We are told that Rachmaninov and Horowitz went to hear Art Tatum perform and, remarkably, that Peterson had a link to Liszt through his Hungarian teacher, Paul de Marky who had studied in Budapest with Stefan Thomán who had studied with the great Liszt. This cross fertilisation remains the subject of the first chapter and, indeed, much of the book. A separate chapter, The Piano is Born, covers the development of the piano. Many people can probably name some early piano makers but the story of the ‘father’ of the piano and his patron makes for a fascinating read. Not surprisingly, Mozart has a chapter to himself as does the rise and popularity of the piano where some odd examples of the domestic piano can be seen, such as the sewing table piano, which has to be seen to be believed, and the bizarre looking giraffe piano. The chapter Performers on the Road fascinatingly tells of the 18th century Charles Burney’s travels through Europe and his encounters with musicians, John Field’s first job as a ‘piano plugger’ for Clementi, and the 19th century Austrian pianist Leopold de Meyer who self styled himself ‘The Paganini of the Piano’. Interspersed are many little gems such as when the Julliard School professor, Joseph Bloch, ended up performing in a leper colony in Borneo. The chapter also catalogues how the piano changed and how manufacturers began supplying pianos to the great performers as a kind of endorsement. There is a wonderful anecdote about the 19th century pianist, Henri Hertz, who arranged a concert for sixteen players and eight pianos which were out of tune with each other and another concert where the March Nationale was advertised as to be played on four pianos but disappointed many who expected the pianist to do it alone. Piano duos, threesomes and even the six piano ensemble, Piano Circus, are included. Finally there is an entertaining section on pianists drunk or dying at the keyboard. The Four Sounds is a short but instructive chapter on the shaping of the piano’s sounds, pedal technique, tuning and temperament and pianists’ playing styles. 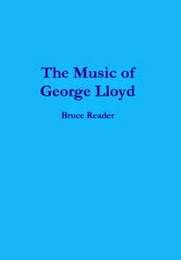 There are four chapters that categorise various pianistic styles under The Combustables, The Alchemists, The Rhythmitisers and The Melodists. The Combustables takes us on a tour of such figures as CPE Bach, Mozart, Beethoven, Czerny, Haydn, Liszt, Bartok, Kodaly, Stravinsky, Elliot Carter, Eubie Blake, Earl Hines and Cecil Taylor, as well as asking the question ‘What’s a Sonata?’ And just to add to the suitability of the chapter title there is the story of Jerry Lee Lewis setting fire to his piano on stage. The Alchemists rightly gives Debussy much space, then such diverse figures as Messiaen, Schoenberg, Scriabin, Bill Evans, Herbie Hancock, Duke Ellington, Billy Strayhorn, McCoy Tyner, Thelonius Monk, through to John Cage, Henry Cowell, Terry Riley and Steve Reich are covered. There is even a section about the player piano. The chapter covering artists under the title The Rhythmitisers takes us on a journey from European, Caribbean and African roots through Jelly Roll Morton, and James P Johnson to Fats Waller, Gershwin, Willie Smith, Art Tatum and Count Basie. Sixties singers/songwriters such as Neil Sedaka, Carole King, Stevie Wonder and Elton John get a mention before a couple of pages devoted to Dave Brubeck. The Melodists takes us from Schubert, through Schumann, Brahms, Mendelssohn, Chopin, Erik Satie, Ravel, Gershwin, Teddy Wilson and George Shearing. A chapter entitled The Cultivated and Vernacular takes us from Scott Joplin, Edward MacDowell and Charles Ives to Aaron Copland via the Latin rhythms of Piazzolla, Ginastera and Villa-Lobos and The Russians are Coming covers such artists as the great Anton Rubinstein through to Vladimir de Pachsman, Ignaz Friedman, Vladimir Horowitz, Rachmaninov, Sviatoslav Richter, Vladimir Ashkenazy, Prokofiev and Tatiana Nikolayeva. The Germans and their Close Relations looks at Hans von Bulow, Artur Schnabel, Rudolf Serkin, Edwin Fischer, Alfred Brendel, and Paderewski where rivalry of piano manufacturers caused problems when he was due to perform at the Chicago World Fair. Keys to the World looks at the different national and personal playing styles and includes such pianists as Godowsky, Josef Hofmann, Myra Hess (who gets short shrift from Virgil Thomson), Alfred Cortot (who doesn’t get a very good personal endorsement from Murray Perahia), Michelangeli, Pollini, Leon Fleisher, Andre Watts, Yefin Bronfman and Van Cliburn. There are useful sections on piano technique as well as piano competitions. On the Cutting Edge is an excellent chapter heading for such a pianist as Glenn Gould given the quote from conductor George Szell ‘The nut’s a genius.’ Film, radio and television’s influence on the piano are covered as is, Earl Wild, and the satirical PDQ Bach (alias Peter Schickele). Finally there is a small section on electronic and digital pianos. The chapter Everything Old is New Again brings together again the various genres by telling a story about the 86 year old pianist Menahem Pressler, described as ‘a bullet train without brakes’, and clarinettist Richard Stoltzman making their way to give a recital at Le Poisson Rouge in Greenwich Village, an area connected to the folk music revival of the 1960’s. There is a short section on the piano in China and on the decorative styles of pianos including the bizarre photograph of pianist Evan Shinners playing a grand piano from the inside. The appendix containing supplementary notes is worth reading in itself as it contains much that is interesting. There is a section giving contributors’ biographies though this often excludes the individual’s dates, an exhaustive list of sources and a comprehensive index. Throughout the book there are numerous writings by such figures as Piotr Anderszewski, Menahem Pressler, Vladimir Horowitz, Yefim Bronfman, Beethoven’s biographer and friend Ferdinand Ries, Claude Debussy, Andre Watts, Wanda Landowska (on Creative Fainting! ), Alfred Brendel, Andras Schiff, Emanuel Ax and Garrick Ohlsson to name just a few. There are over 100 illustrations throughout this book and with so many anecdotes and fascinating information, written with obvious enthusiasm, it is difficult to put this entertaining book down. The gathering together here of so much information is an achievement in itself but to place the material in such an informative and entertaining narrative will make all lovers of the piano and, indeed, lovers of music want this book. Before get the antique natural history books from any shop we have to read this blog first. Because in this blog their are so many informative info include. So really thankful to you for posting this blog.